I’m Amanda and I hail from the University of Massachusetts in Boston. Currently I’m a Junior majoring in History. At first, it would seem rather odd how I ended up at Save the Harbor/Save the Bay. I’m a history major – what does that have to do with the environment? And I probably couldn’t tell you anything related to the ocean except that the moon affects the waves apparently. But what I do have is an affinity for learning and helping my community and that is exactly what I have been able to do at Save the Harbor/Save the Bay. Despite a number of years out of the city, I’m a Bostonian born and raised. 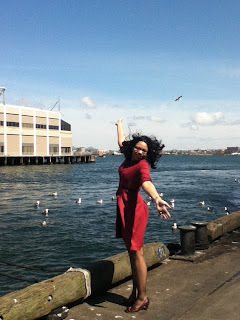 I grew up near Boston harbor, ran along the Charles River, learned to fish at Castle Island with my uncles, went whaling watching on the Boston harbor cruises during the summers, and who knows how many times I went swimming at Revere and Nantucket beach. I’m familiar with the harbor and that’s what attracted me to the organization, whose mission is to “restore and protect the harbor and bay, and to reconnect Bostonians from every neighborhood regional residents and visitors alike, so that we can all enjoy the benefits”. Because I’ve personally benefited from the clean harbor Boston now has, I want to help and make sure this continues for future generations. Thus far, besides being able to partake in the helping of my community, what I love about interning here is the flexibility. Although I was hired as an administrative/prospect research intern, I’m able to dabble in different areas of the organizations. This alone makes me feels more in control of my experiences here. As Bruce told me when I first arrived, “What do you want to do here?” This internship is more then just fulfilling orders; it’s about taking charge and making it happen. Regardless if you’re an environmental advocate, future scientist or even a history major, Save the Harbor/Save the Bay opens the door to a ton of possibilities across any study or interest. And in the process, you’d be doing great justice not only to the city of Boston but its residents! 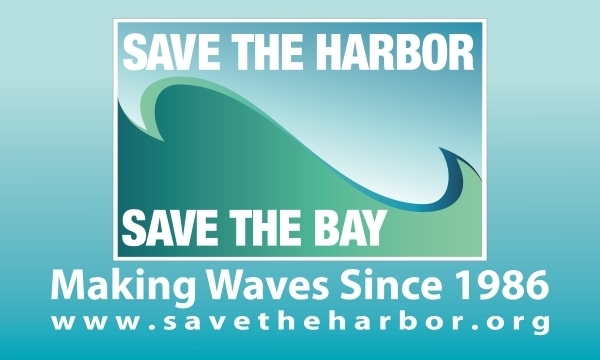 Save the Harbor Needs You! As we begin a New Year on Boston Harbor, we hope you will take a moment to read our annual appeal and make a generous contribution to support our work! 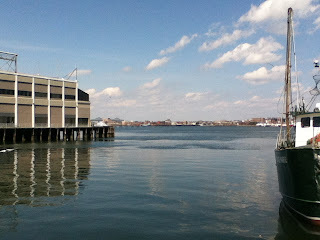 As I sit at my desk in Save the Harbor/Save the Bay's office on Boston's Fish Pier watching late fall turn into winter, I often take a few moments to reflect on what we have accomplished over the past year, and what we hope to do in the year ahead. 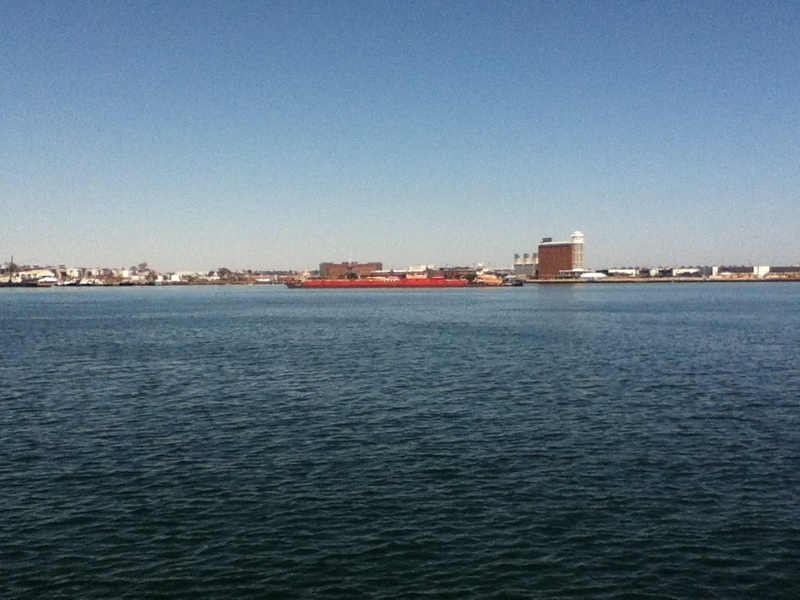 From where I sit, 2012 was a great year for Boston Harbor. From my window I watched thousands of people board boats to see tall ships during the 1812 Bicentennial Celebration. I watched them walk down Seaport Boulevard to eat at Legal Harborside, catch a concert at the Bank of America Pavilion, or watch the Red Bull Cliff Diving World Series at the ICA on Fan Pier. It was also a terrific year for Save the Harbor/Save the Bay. Save the Harbor / Save the Bay's summer youth program staff shared Boston Harbor and the Boston Harbor Islands with 13, 545 youth and teens this year. 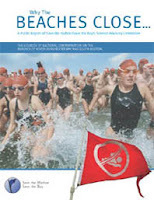 In March, nearly 500 people took part in the Harpoon Helps Cupid Splash, raising more than $30,000 to fund thirty free events on the region’s public beaches from Nahant to Nantasket this summer as part of our Better Beaches program. This summer our thirty-two outstanding youth environmental education program staffers led twenty-eight free All Access Boston Harbor trips to the Boston Harbor islands. By summer's end, we connected more than 7,245 youth and teens to the Boston Harbor Islands, an increase of 33% from 2011. Our free Boston Harbor Explorers program ran daily at eight program sites around the harbor, teaching 6,300 young people about Boston Harbor's history and the marine environment, an increase of more than 20% over 2011. 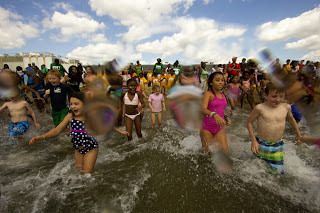 In August, our Youth Beach Bash and Splash brought more than 650 kids to Carson Beach to celebrate clean water, while our Swim for Boston Harbor brought swimmers from as far away as Chicago to take part in a one mile race on one of the cleanest urban beaches in America. More than 1,000 young people and their families joined us on one of our free weekend Marine Mammal Safaris in the spring or Treasures of Spectacle Island Cruises in the fall. Save the Harbor also began two important new policy initiatives this year, as we continue to work to improve water quality - and the quality of life - in Boston's waterfront neighborhoods and the region's beachfront communities. Early this year we reconvened our Beaches Science Advisory Committee, co-chaired by Dr. Judy Peterson of MIT Sea Grant and Dr. James Shine of the Harvard School of Public Health, to help understand and address the persistent pollution problems that still cause some of our beaches to close, and to help us find ways to improve the accuracy of the beach flags used to tell the public when it is safe to swim. In May, Save the Harbor released our first report card on water quality and flagging accuracy on the region’s public beaches from Nahant to Nantasket. While many of our beaches received very high marks, others were closed as often as one out of every four days in 2011, which is simply unacceptable (You can find a copy of the report card on our website at www.savetheharbor.org). In response, in July the Legislature reconvened the Metropolitan Beaches Commission, co-chaired by Sen. Jack Hart and Rep. Kathi-Anne Reinstein, which Save the Harbor will help to lead and manage. Beginning early in 2013, the Commission will hold eleven public hearings and technical meetings in Boston’s waterfront neighborhoods and the region’s beachfront communities. Working together with our elected officials, and with citizens, scientists, technical experts, advocates and civic, corporate and community leaders we will set a new agenda for the next round of public investment in Boston Harbor and the region’s public beaches that begins with clean water. At Save the Harbor/Save the Bay we understand that we all have to make important decisions about how best to invest our time, energy and money. 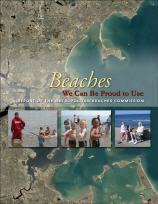 I know you agree that the harbor, the islands and our public beaches are among our region's most valuable assets. Your financial commitment to support our work has enabled us to move Boston Harbor towards the center of civic life in the city and the region. 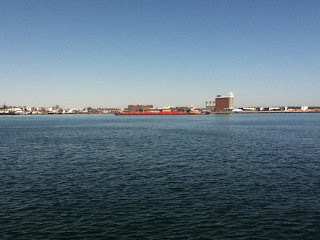 As 2012 draws to a close, I urge you to make a generous contribution to support our ongoing efforts to restore and protect Boston Harbor and to continue to connect the region's families to this spectacular urban natural resource. 2nd Annual Youth Beach Bash and Splash at M Street beach. Your tax deductible contribution of $50, $100, $250 or more will enable Save the Harbor/Save the Bay to continue offering our free, first rate Youth Environmental Education Programs, host and sponsor free events on our beaches from Nahant to Nantasket, and continue our policy and advocacy work to restore and protect Boston Harbor and Massachusetts Bay. To make an online donation today, please visit www.savetheharbor.org/contribution.html. I hope we can count on your support. Make a contribution today to support our work.